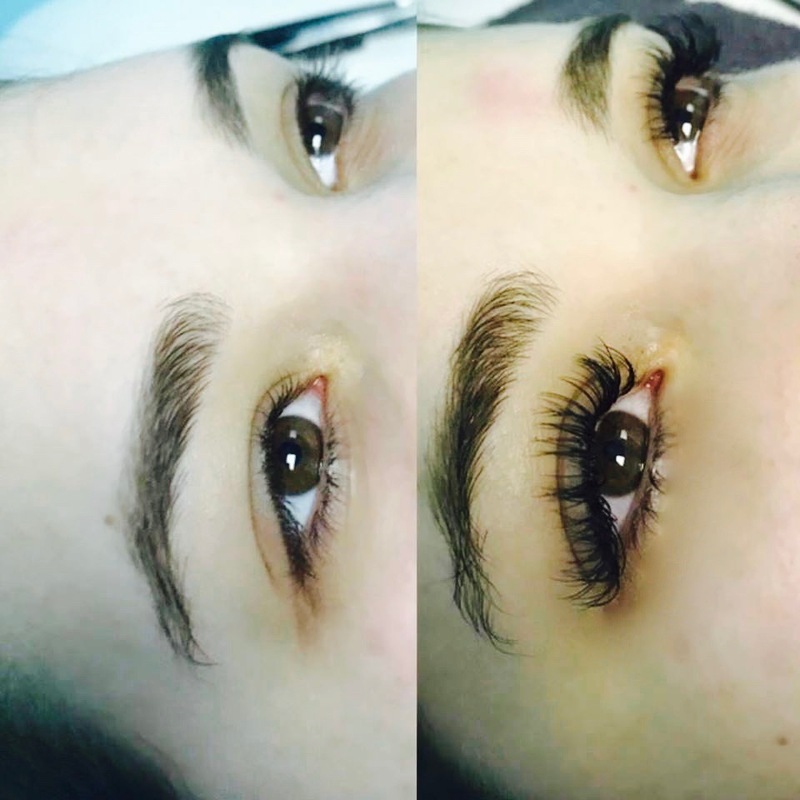 We now offer Minkys Eyelash Extensions. Each extension is applied to each individual, natural eyelash. 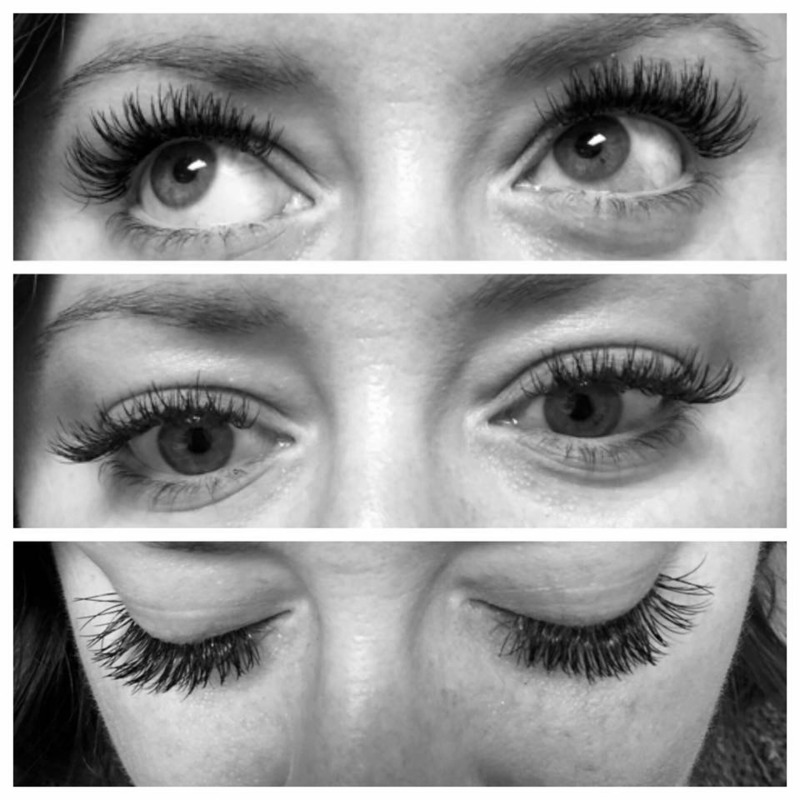 They look and feel completely real and natural, but thicken and extend your natural lash. Client will be reclined on their back with their eyes closed while the extensions are applied. Application generally takes between 1.5-2 hours. Fills are 1-1.5 hours. Extensions are attached by a medical grade adhesive. The application process is so relaxing and comfortable many clients fall asleep. -Our eyelashes have a natural shedding cycle. On average we lose 1-2 eyelashes a day. New growth will occur and those are the eyelashes that need an extension applied at the time of your fill. Mascara is not recommended when having these. They are black and thicker and longer than our own. Lift and tint your natural eyelashes without the upkeep up extensions in just 45 minutes. 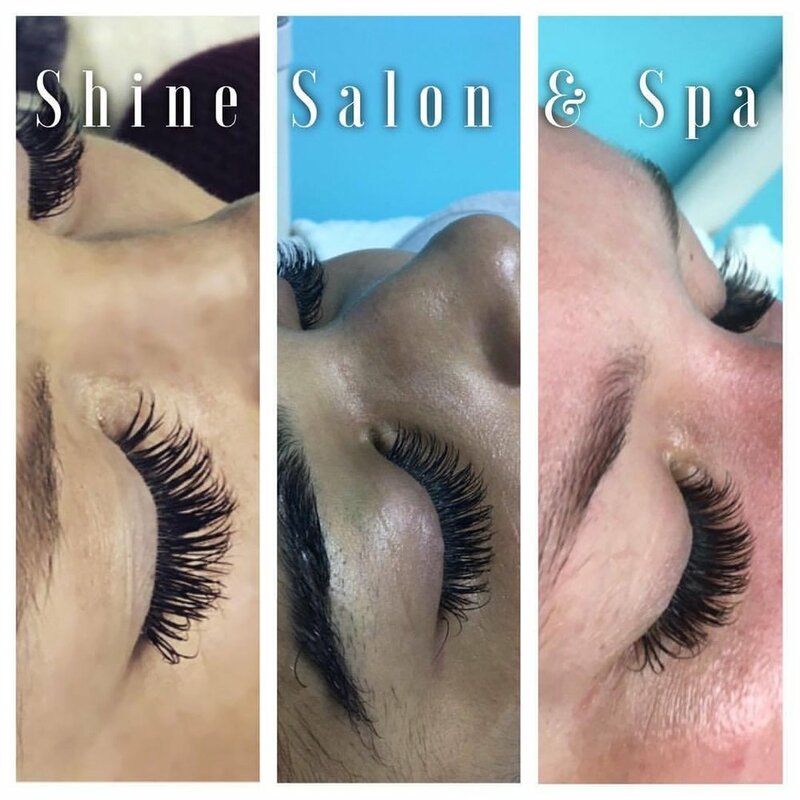 Elleebana's Rods, Perm Solution, & Eyelash tint color are used to give your lashes a lift and tint so that even without mascara, you have darker more lifted lashes.